The last time a mixed martial arts event was held in Fargo, local MMA fighter Mariah Prussia headlined the card. Now, nearly three years later, Prussia finds herself on the other side of the business as her company, MPX Promotions, presents Fight to Unite at the Delta Hotels by Marriott this Saturday night. The moving pieces are not something she frets about though. She realizes that with this being her first go-around in this capacity, there will be adjustments that need to be made on the fly. “If something shifts, I’m very quick [at deciding] this is how we’re going to adjust,” she says. That ability to adapt is what she says helps her most in life. Of all the moving pieces, Prussia says making the matches was the most difficult part of planning Fight to Unite initially. Reaching out and finding fighters to fill specific weight classes or finding two fighters to compete with comparable records took some work to get done, but she was able to do it by networking with other people in the business. Her goal in making the matches was to line up what should be good, close fights. Prussia says she hopes to learn lessons from planning for this event that she can use later on as she creates a blueprint for future promotions. She says that by creating that blueprint she can also find what worked this time around and where the promotion can be improved upon. 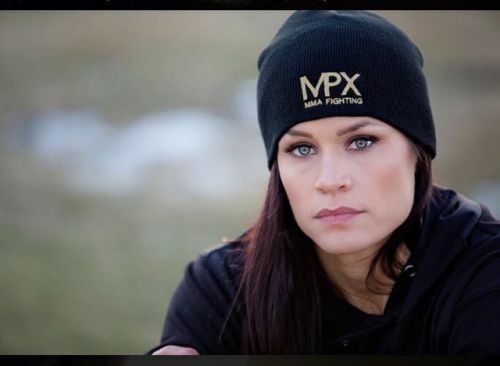 As she looks to the future of her promotion and MMA in the area, if she has things her way, Prussia says this will be the beginning of a renewed and vibrant MMA atmosphere in Fargo for a long time to come. She already has fighters reaching out to her for a yet-to-be-determined event next year and hopes that one day her promotion company can hold three to four events annually. As for the name, Fight to Unite, Prussia says she picked it because of MMA’s ability to unite everyone involved. In this time of division in our country, as it plays out in places like social media, it is nice to have something like Fight to Unite where everyone can share a common goal of empowering one another to grow. She says that even though the fighters are in the cage competing against one another, they know and respect what each has done to get to where they are. They understand the training and sacrifice each other has made, so even though it is a competition, fighters are part of a larger team. That is why the fighters will hug each other after the match. Prussia would also like everyone to know that MMA isn’t the gruesome sport people sometimes think it is. The fighters in the ring are trained athletes who are there to compete and showcase what they have worked so hard to do. She says Fight to Unite is something the whole family can come watch and enjoy, even the kids. Fight to Unite will feature nine fights. The main event will see featherweights Cameron Ramberg (10-4) and Justin “Green Ninja” Likness (5-5) square off in what should be a very competitive bout. Chris Senff, who is an instructor at MPX Fitness, will square off against Andres Murray. Both fighters bring a record of 1-1 into the bout. Weigh-ins and the post party for Fight to Unite will be held at The Windbreak in south Fargo. The weigh-ins begin at 7 p.m. this Friday. These events will be an opportunity for fans to possibly get pictures and visit with fighters. MPX Promotions also welcomes two special guests for this event. Pat Miletich is a UFC Hall of Famer and currently a commentator for AXS TV who will be refereeing the back half of the card. Mike Kendall of the LFA will be the ring announcer for Fight to Unite. As of this writing, there are still seats left for the event. There are VIP tables, cage-side seats, and general admission seats. Prices and information can be found on the MPX Promotions website – mpxfitness.com – and Facebook page. Sponsors for Fight to Unite include – MPX Fitness, The Windbreak, Randall’s Excavating, 95.9 Radio Free Fargo, Hippie Pig Bar-B-Que, Fargo Air Museum, DoubleTree by Hilton, Venture Chiropractic, and Harley Davidson of Fargo.